Found a nice software CoreTemp to monitor the temperature of CPU. Thought it might be useful to some of you. Can neatly see the CPU temperature constantly. This is the setting I use. clicking on the RAM utilization box works for me. I usually use something else but I will check this one out too. Thanks for sharing, guys! I will definitely have a look at it. 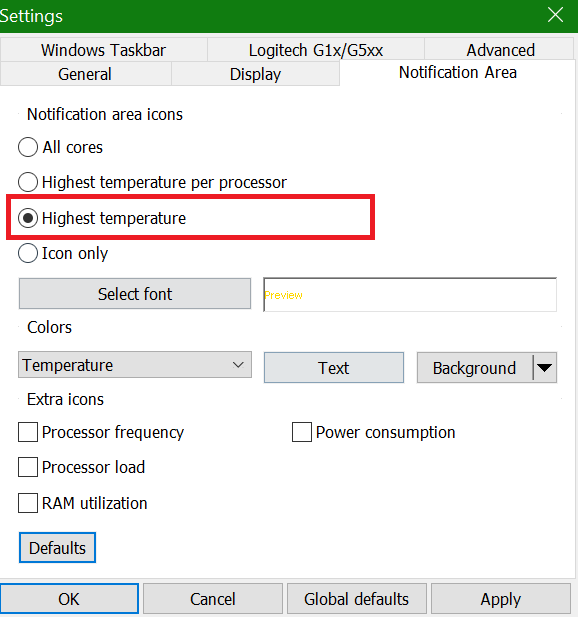 Generally speaking, I defininitely recommend using software to check your computer's temperature's - CPU, GPU, motherboard, etc. because you could catch a problem before it's become fatal. Some time ago I noticed that my GPU was heating up to over 100C and I immediately sent the computer to be fixed. It turned out the GPU's fan had stopped working altogether. If I hadn't noticed it would've melted down and probably damaged other components too. I had a similar experience and these kind of apps do help for monitoring and detecting potential PC problems. Did they help you catch a problem on time?